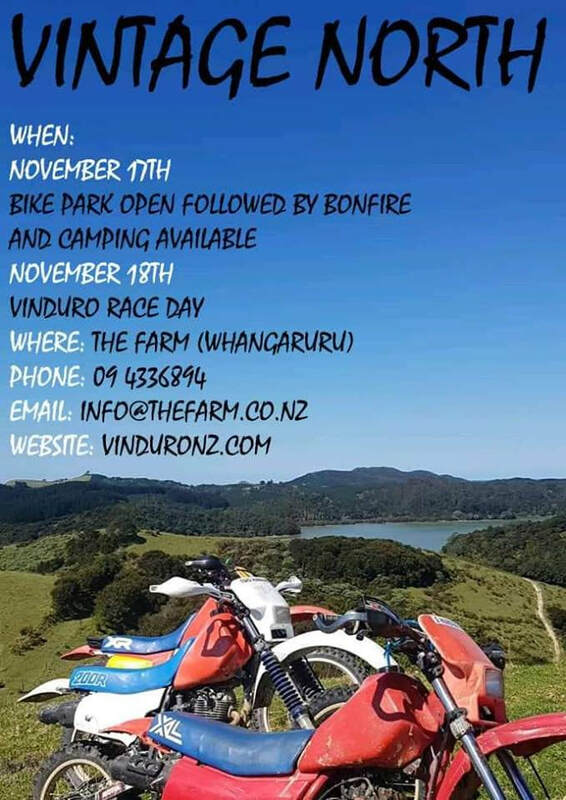 Round two of the Vinduro NZ Series is on Sunday November 18th at The Farm near Whangaruru. Expect a varied course with big grassy paddocks, rolling hills and bush and clay tracks. So everyone gets just the right balance of challenge and satisfaction there are two grades of track difficulty - Gold for the really keen and Silver for the more laid-back. 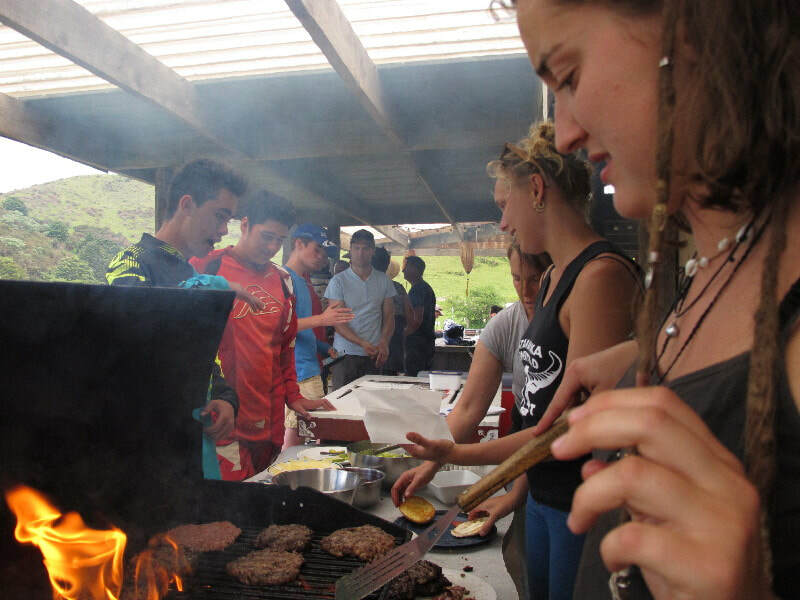 A bonus this year is the Saturday warmup where riders can test parts of the course and stay overnight at The Farm on Saturday night where there will be a bonfire and delicious barbeque food available. The venue has basic accommodation huts and any amount of free camping for tents, motorhomes and caravans, with hot showers available and an undercover gathering place for pre/apres ride re-hydration. Hearty meals are also be available if pre-registered. Six categories of vintage enduro machines will be catered for at Vintage North from the truly vintage 4 speed class, right through to the pre 1996 dual disc braked ‘Modern’ class. If you are interested in Vinduro but do not have a qualifying bike you can trail ride your late model machine around the course.